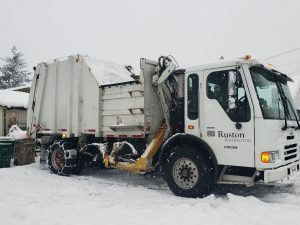 Due to the weather and road conditions, please expect garbage pick up delays this Tuesday February 12, 2019. Any missed routes will be picked up the following day. 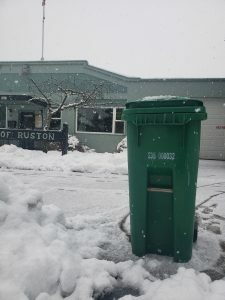 Any further announcements or changes to the recycle/yard waste scheduled pick up will be posted in news before end of day. City Hall will be opened and you may contact us with any questions or concerns, (253) 759-3544. Stay safe & warm! pick up is on schedule for Wednesday. Thanks to our Public Works!